Oh Vegas, everything from your skyline to your weird promoters on the strip is magical. We stayed in Treasure Island, we reserved about five months in advance. (We are scary planned individuals) our total was about $400 after taxes and resort fees. 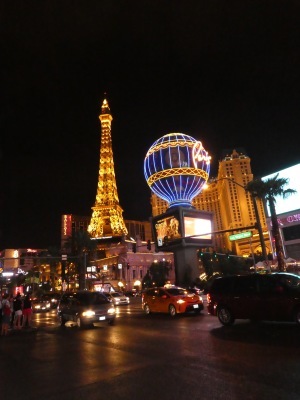 We walked the entire strip in order to see as many hotels, elvis impersonators and restaurants as we could. Taco Bell Cantina, wow please please come to Miami. Cantina is the new taco bell that lets you choose what kind of alcohol you want in your baja blast. As if we weren’t obsessed with baja blasts before. The temperature was 105 degrees Fahrenheit, I could feel that hot air through each one of my pores. Take advantage of the hotel pool, go out into the strip at 5 or 6ish when the night is beginning to fall so the heat is not so bad. Beware, this is not a cheap city to visit. Bring extra cash than you calculated because food and water are very expensive. $9 for two bottles of water, come on. don't wear heels to walk the strip. For my more spontaneous travelers, there is a red stand on the strip that says “tix 4 tonight” they sell you legitimate tickets for same day shows. 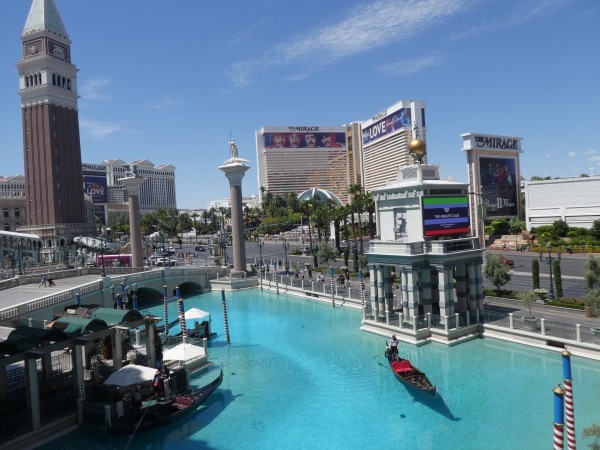 Don’t be scared to venture off, enter all the hotels get lost in the Egyptian pyramids of the Luxor, take a gondola ride in The Venician, see the dreamlike fountains in front of the Bellagio. Gamble a little, drink a little. Just don’t get too lost and end up married, or broke. Unless. That’s what you went to Vegas to do. Then by all means. Go crazy. Ladies, do not wear heels to walk the strip your flats look cute, trust me. I can still feel the massive blisters on my toes. yes. those baja blasts have tequila in them. yes. this is how every baja blast should be made.